DON'T MISS THIS ! 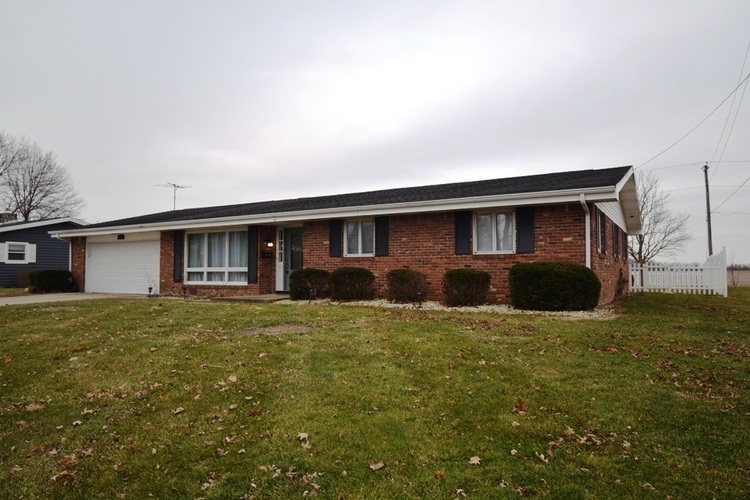 A 4 bedroom, 2 bathroom all brick ranch!! This home has seen numerous updates in the last few years. Features include a big great room, dining room combination with brick fireplace (gas log). New kitchen with stainless steel appliances and Quartz counter tops. The 4 bedrooms are all good sized. Master bath with big shower. 2 car attached garage with a huge attached workshop area. Rear sun room for year round use. All new concrete patio, fenced rear yard and nice fire ring area too. Great East side location that's easy access to Schools, shopping and YMCA activities. Directions:From I-65 take State Road 28 to Jackson Street. Go South on Jackson Street to Kelley Road. Go East on Kelley Road to Maish Road. Go North on Maish Road to Haven Ave. Go East on Haven Ave., to home on the South side of Street. Listing provided courtesy of Joe Risse Realty, Inc..